Whether we are talking about worship songs, Bible studies and sermons, building decor, or a number of other church life elements, we need to be mindful of how “fresh” the stuff we are giving our members is. I’m not saying the pastor who found a five year old worship song is out of date. In fact, I’m glad he found something new. Too many pastors and church leaders never get that far. 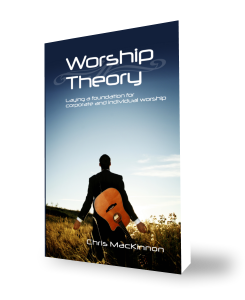 How “new” a worship song is completely depends upon the congregation. There were songs I sang in high school in the early 90’s which many congregations would consider “newer” songs, partly because they’ve never heard them before, and another is they are happy with what they have enjoyed for so long. But let’s face it. We are called to reach the lost. We don’t have to sound like the latest pop music, but we should be making an effort to be fresh. We don’t need all the bells and whistles, but a tune from this century will help. Sounds too impossible? At a previous church (not too long ago), we were really good friends with one of the worship leaders and her husband. We love them dearly. I gave her the challenge of not choosing songs written before 1995, and she almost broke. It was an incredible struggle for her. When she finally put together a set where every song was newer (and even in the 2000’s), she was so proud of herself. And I was, too. One of the common pictures of a leader is someone who goes ahead and brings back a piece of what is new to lead the group into the place ahead. Pastors and worship leaders should always be searching for something new. But new is not enough. We should also be searching for something fresh. Let me illustrate with a recent event in our family. Just a warning, it may make you squeamish. My mother-in-law had us over for an amazing roast beef dinner just after Christmas. When the pitcher ran out of juice she went and grabbed a two-liter from her holiday stash in the fridge. My next look was at the expiration date at the top of the container. It started with 2016, and that was all I needed to see. She scooped it up and went over to the sink. Her first pour seemed fine, but then a clump popped out. Halfway through it turned thick, and at the end a disgusting buildup of mold squeezed its way out. The juice she handed me was very new. She had pulled it off the shelf within a few days. Was it fresh? Not at all. Who Is Checking the Expiration? It can be hard to realize, but we should be just as diligent to serve the fresh at church as we expect our grocery stores to be. We should be checking expiration dates on songs, methods, carpets, leadership, ideas, values, priorities, and more. I’m not saying your pastors all have to wear skinny jeans to be fresh. In fact, I saw an entire team of pastors in them recently and many shouldn’t have even pulled them off the shelf. But are our pastors coming up with new ideas, new goals, new messages? Have the men and women who stand beside them remained the same position for 30 years, or do they change with the demographics of the church and community? When I buy a gallon of milk at the store, I like to reach in and get one from further back in the line. The ones up front have the closer expiration date and were put on the shelf first. In the back I find the freshest milk with the furthest expiration date. With two teenage daughters, I don’t really have to worry about the milk going bad. We are usually a week or more before the expiration when the milk dries up. I like to make sure it’s cold and fresh, and will last as long as I go looking for it. But eventually the milk runs out. I need more. I don’t go looking for which jug has the closest to the date on my last milk carton. I need something fresh all over again. One of the things turning people off to the church is the same old, same old. They walk into a church and find it stuffy, not from dust or cobwebs, but from the same old air and attitudes that drove so many away in years past. We owe it to them to stay fresh. If we can learn to approach the things of God with the same desire for freshness we take to the grocery store, He will not disappoint. God is always looking to pour into our lives with His fresh ideas, grace, power, love, and all the goodness of Heaven.